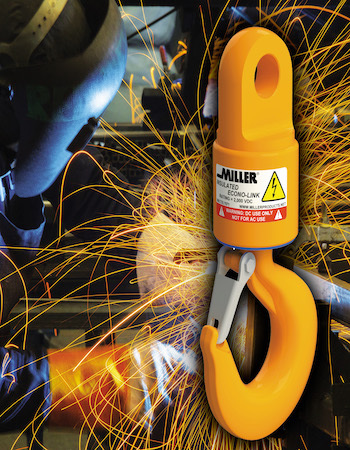 Developed to contain process electrical currents and prevent damage to crane controls and/or wire rope degradation. Common examples include electric arc welding on suspended work pieces and electrolytic deposition processes. The Econo-Link DC includes all the same, proven Econo-Link features, plus advanced electrical protection. 6 popular configurations from 3 to 15 tons.